However, this does not allow you to purchase this current product, as it is available only to those who can purchase user level C.
C What is a user level? The WPPSI–IV A&NZ is an innovative measure of cognitive development for preschoolers and young children that’s rooted in contemporary theory and research. This edition also places a strong emphasis on child-friendly, developmentally appropriate features, and includes new processing speed tasks, the addition of working memory subtests and an expanded factor structure. These extensive enhancements are targeted to benefit both children and examiners. The WPPSI–IV A&NZ has been standardised on Australian and New Zealand children aged 2:6–7:7. The normative sample is representative of the Australian and NZ census for age, gender, parental education, geographic location, and indigenous status. Picture Memory and Zoo Locations, the two new working memory subtests provide age appropriate, engaging tasks for children as young as 2 ½. These reliable and child-friendly measures were specifically designed to help detect emerging working memory difficulties for early intervention. For both age bands the test structure includes three levels of interpretation: Full scale, Primary Index scale and Ancillary Index scale levels. 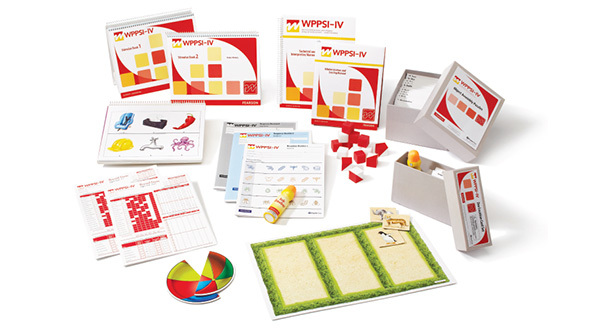 With consideration of the unique challenges of assessing young children, the WPPSI–IV was redesigned to strengthen the emphasis on ensuring all aspects of the WPPSI–IV are developmentally appropriate. The three new game-like subtests offer engaging art and use an ink dauber to indicate responses, which minimises fine motor demands. Each subtest is built with careful consideration to the cognitive, motor, and language development of young children. Numerous updates make administration as efficient and user-friendly as possible. Testing time is maintained or reduced while construct coverage is increased. Clear and concise examiner instructions, including shortened discontinue criteria and simplified substitution, invalidation, and proration rules. New and durable storage solutions for manipulatives, including puzzles. Updates increase the practical usefulness of the WPPSI–IV. In addition to hand scoring, WPPSI-IV A&NZ is available on Q-global, Pearson’s web-based scoring and reporting platform. Click here to download a PDF of frequently asked questions. in this table to be confusing, therefore we are making this change in an abundance of caution to improve clarity regarding proper use of the table. The modification is intended to ensure that the WPPSI-IV materials meet the high standards of quality that you expect from Pearson and that interpretation is as clear and simple for users as possible. This modification will be made on the next printing of the Administration and Scoring Manual.